Handmade Cartel should rename this soap to Sensual White Peach Scrub Bar. 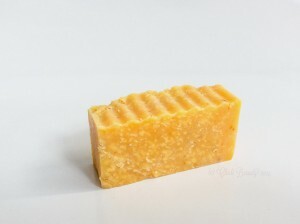 The heady peach aroma of this soap is not the typical sweet smelling, candied peach scent you might expect. It is a more adult, complex peach scent that makes you want to linger in the shower, just a while longer, to enjoy the aroma. 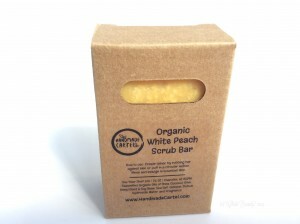 Aside from the intoxicating aroma, this White Peach Scrub Bar cleans thoroughly and rinses clean. Handmade Cartel urges us to “enjoy it’s exfoliating power of sea salt & oatmeal.” Similar to the lemongrass in Handmade Cartel’s Lemongrass Soap Bar, the sea salt in this White Peach Scrub Bar adds an interesting texture to the soap. But it is by no means what I would consider seriously exfoliating. Likewise for the oatmeal, which is undetectable. Perhaps the sea salt and oatmeal provide some light exfoliation, but if you are seeking a visible, vigorous exfoliation this is not the soap for you. When all is said mad done, this is a great, unique soap bar that has a wonderful texture, regardless of its exfoliating powers. 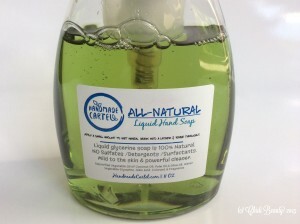 Handmade Cartel’s All Natural Liquid Hand Soap in Melon was a wonderful surprise to find in the July 2015 subscription box. It’s a nice change from the typical body, face and hair cleansers that one expects in this type of subscription box. This liquid hand soap is also pretty, and universally useful. The melon scent is widely appealing; it’s fruity and sweet, but not cloying. A big two thumbs up to Handmade Cartel for this great natural product. The label says this soap is “mild to the skin & a powerful cleanser.” With saponified oils as the first three ingredients, you can rest assured that the claims on the label are true. 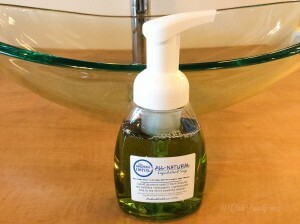 This hand soap is also extremely emollient; a little goes a long way. The ingredients and texture combine to ensure that you spend a little more time than you may be used to washing your hands. This is because the combination of time and effort is the only way to ensure this rich formula is washed from your skin. This is definitely a soap to try if you are teaching young children how to wash their hands. This is supposed to be a foaming hand soap, which is great since this is a very concentrated formula that takes real effort to rinse clean. But my container foamed on the very first pump, and then never again. Also, the label is backwards so that it faces away from you when the pump is in the open position. Neither of these minor issues takes away from this being a great product, but hopefully this young brand will sort out these types of issues as it continues to grow. Don’t let the creamy texture of this laundry butter fool you. The texture, like the concept of laundry butter, might be new to you as it was to me. But the cleaning power of this detergent is not. 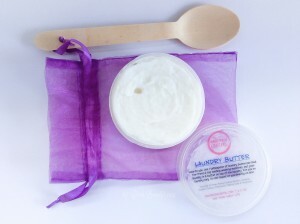 Handmade Cartel’s Cotton Fresh All-Natural Laundry Butter works well on both whites and colours. It is creamy and has a rich, oily base that helps offset the dryness of the borax. It also has a faint, fresh laundry detergent scent. Although this laundry detergent is scented, and the faint cotton fresh scent lingers on just-washed clothes, my clothes were pretty much scent-free after they had completely dried. 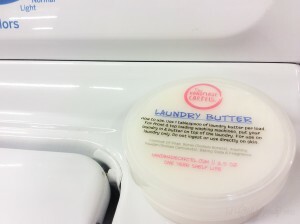 I used this laundry butter to hand wash some clothes, and used almost the recommended spoonful for a lot less than a washing machine full of laundry. If you are using this laundry detergent to do a full load in a washing machine, you might need a little more detergent than what the directions recommend. Unfortunately, this soap contains borax so I can’t quite say it is a clean, natural laundry detergent. 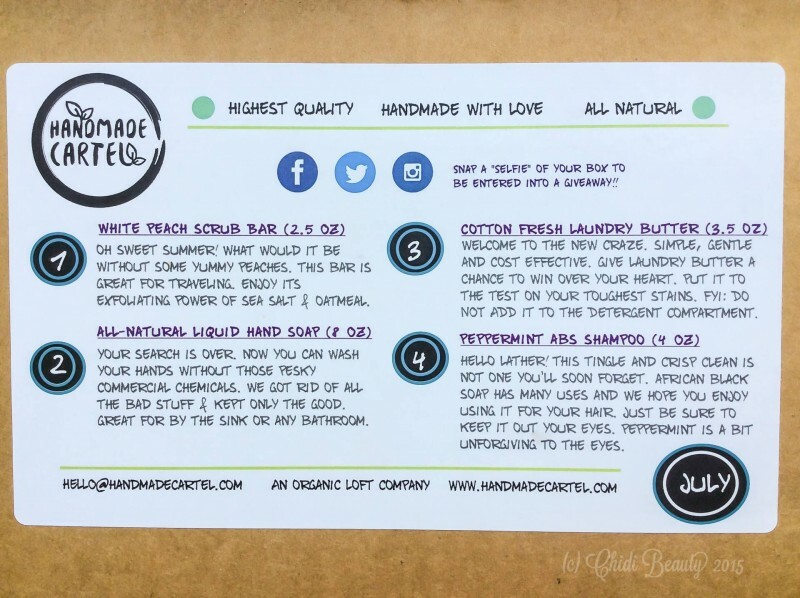 But it contains fewer chemicals than most laundry detergents, and is a unique and useful product to include in a natural soap subscription box. The label says that this shampoo will leave your hair squeaky clean and it’s 100% correct. 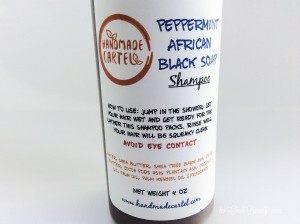 Handmade Cartel’s Peppermint African Black Soap Shampoo is unassuming, with its watery contents easily slipping through your fingers. 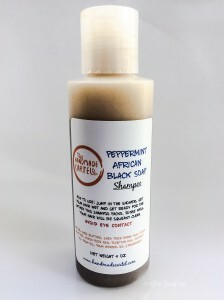 But don’t be misled, the tiniest amount of this powerful shampoo will cleanse and clarify your hair and scalp. Using a small amount of this shampoo on my hair, one section at a time, left my hair feeling clean and completely stripped of all product and natural oils. This is a true clarifying shampoo, great to keep in your arsenal for when you want to thoroughly cleanse your hair or remove product build up. This is not a shampoo for regular use. That being said, make sure you thoroughly detangle your hair before washing, I swear by Naptural85’s co-wash & detangle method (demonstrated here). You’ll want to manipulate your hair as little as possible once this shampoo is in your hair. Deep conditioning afterward is also a must. Your hair will be ready to absorb whatever you put on it after using this shampoo, so be sure to have plenty of nourishing ingredients on hand, like aloe vera juice and coconut oil, for deep conditioning and to use as a leave-in. 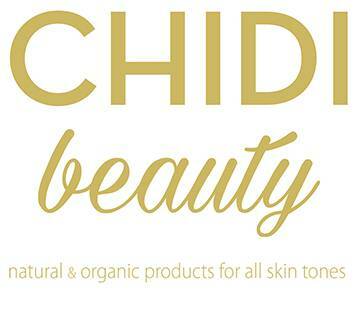 Get Chidi Beauty exclusives, discounts on your favourite green beauty brands, and more!